We’d love your help. 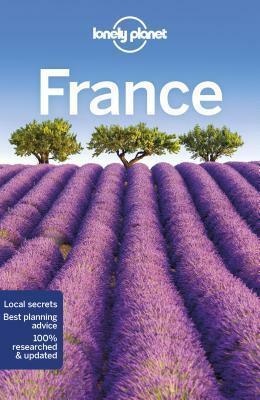 Let us know what’s wrong with this preview of Lonely Planet France by Lonely Planet. Lonely Planets France is your passport to the most relevant, up-to-date advice on what to see and skip, and what hidden discoveries await you. Grab a caf crme at a Parisian sidewalk cafe, take in glacial panoramas above Chamonix and explore the Champagne-soaked city of Reims all with your trusted travel companion. Get to the heart of France and begin your journey now! The Perfect Choice: Lonely Planets France is our most comprehensive guide to France, and is perfect for discovering both popular and offbeat experiences. Looking for more extensive coverage? Check out Lonely Planets Paris for an in-depth look at all the capital has to offer, or our Provence the Cote dAzur , Brittany Normandy, and Corsica regional guides. About Lonely Planet: Lonely Planet is a leading travel media company and the worlds number one travel guidebook brand, providing both inspiring and trustworthy information for every kind of traveller since 1973. Over the past four decades, weve printed over 145 million guidebooks and grown a dedicated, passionate global community of travellers. Youll also find our content online, and in mobile apps, video, 14 languages, nine international magazines, armchair and lifestyle books, ebooks, and more. To ask other readers questions about Lonely Planet France, please sign up. Pretty informative and useful. Cherry-picked for information about Marseilles and Nice, for the most part. Informed me that I should actually be cognizant of Mardi Gras - oops, totally forget that was a big deal that happens in February/March. I will be carefully avoiding Carnaval de Nice, thanks. Gave me a great idea for something to do in Marseilles that I wouldn't have found by myself. Again, the links to websites in the e-book are awesome. This is a good guide for touring France. My only complaint is that you can't find things quickly in the kindle version if you are not 100% sure of the region of France, a town or city is in. An index in the back would remedy that I think. I got this book specifically for information on the Champagne region of France, and it's by the far the best in that regard of all the other travel guides I picked up. Definitely recommend this one if you're traveling to Champagne. A great guide through France. Lonely planet is once again reliable. Omg FRANCE. Can't wait to go back. This book was super helpful, although was seriously lacking in low-cost food options. Eating in France doesn't have to be expensive.